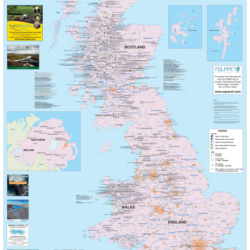 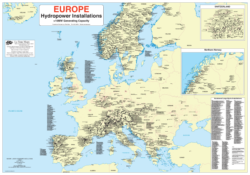 This is the first map available on European Large Hydropower Installations and shows all large operational hydropower installations in Europe. 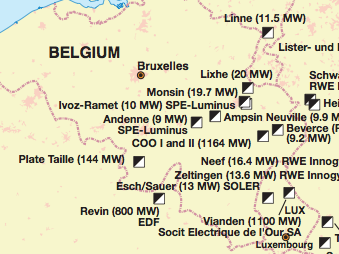 Operational sites are shown together with operator names and generating capacity. 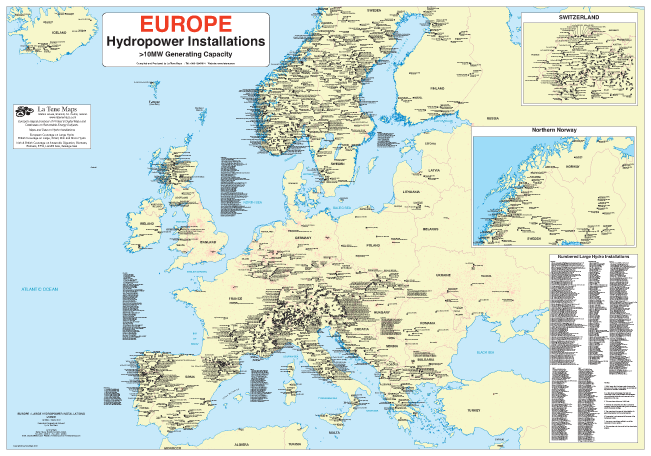 Switzerland and Northern Norway are included as insets.